This online course will inspire you and have thinking about how interrelated the world of food is for babies and their everyday learning. Food learning opportunities go beyond the meal table. Be prepared to get messy as children learn so much about their foods by touching, smelling, licking (tasting), hearing and looking. You get lots of ah-ha moments and actionable tips in an easy to access format. Leave overwhelm behind and get the right tools in your parenting toolbox. You have 2 pricing options! Workbook: Who can help you – more information about the who’s who of feeding health professionals. Comprehensive workbook with recipes that compliments 3 easy to watch videos of 20 minutes each. You can also purchase a 30 min Skype consult add-on. Its a chance for Simone Emery to chat to you one-on-one about your concerns or observe a mealtime at your place via the video application. Simone will always follow-up with you about the consult via email with a few key points. Is your baby starting solids? Have you started and are feeling a bit … stuck? Are you feeling a little low on confidence? Are you a tad unsure about the latest advice on allergies, nutrition and types of foods to offer? (Let alone, when to offer them!) If you want to also learn about what to expect in the first 2 years of food and getting the right tools on board to understand / prevent fussy eating – this is the place for you. Whether it’s your first baby, second, third, fourth etc… this course includes latest information in a way that resonates with real-life mums! Join Simone Emery (children’s nutritionist, feeding therapist & mum of 2) for a deep dive into the first two years of feeding babies. This master class includes a workbook and 3 short videos – because some of us (namely Simone) definitely knows what it’s like to have cat nappers! The videos go for 20 minutes each. The printable workbook also includes recipes to inspire your finger foods, purees, soups, meals and snacks across for a range of skill levels throughout the weaning process. This master class is designed to boost your confidence from baby starting solids through to refining their eating skills to 2 years. Did you know that skill development continues for years after they start solids? Starting solids is one thing, continuing them is another! Back yourself with recipes, ideas and understanding of why fussy periods can occur for babies & toddlers. 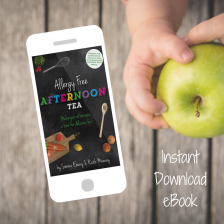 Your access to the course includes an extra freebie – an eBook all about play ideas including food to help your child build a wide array of sensory skills that are beneficial for everyday living functional goals as well as eating too. Eating is a multi-sensory experience and the hardest thing babies need to learn. Building sensory resilience is so important for their ongoing confidence levels. If you feel you need some extra observations and assistance with your baby starting solids? Or moving on through the solids stage? Upgrade to the Skype Consult option and Simone will arrange a time for a 30 min Skype call with you. This feeding babies master class is aimed at helping parents of children between 0 and 2. If your toddler is a fussy eater, this can still assist (especially if another baby is on its way to your family), however, you may find Meg McClintock and Simone Emery’s feeding toddlers video & bonus bundle appropriate too.